Market share and usage share, as raw numbers, really don’t tell you much. Nevertheless, fandroids love to talk about Android market share (unit volume), because that number is (usually) bigger than the iPhone’s market share. Meh. 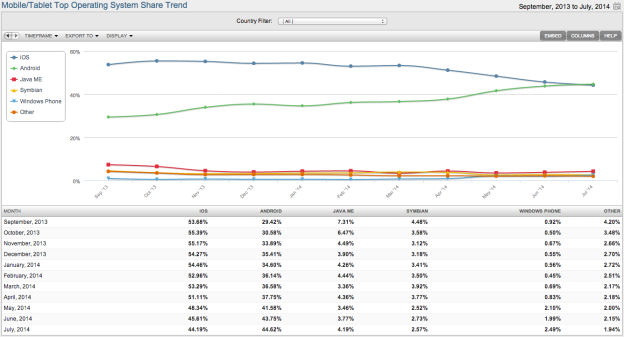 Now, Android’s winning another market metric — online usage share. Double meh. The good people at Net Applications like to keep take of web metrics — devices, operating system versions, market share and, yes, online usage share. What’s that? The percentage of online activity generated by each platform. That said, although Android has been outselling iPhone for years and year, Google’s mobile operating system platform has just surpassed that of iOS’ online usage share. For what it’s worth, Windows Phone online usage share “shot up” 25 percent from 1.99 percent in June to 2.49 percent in July. Contrariwise, BlackBerry share is no longer big enough to accurately measure. What hasn’t changed, however, is the simple fact that individual iPhone and iPad users generate vastly more online activity and, thereby, revenue than Android et al users. In some respects this is the quite like comparing OS X and Windows users — Macs are out numbered roughly 9 to 1, but generate a lot more activity and revenue than Windows users. 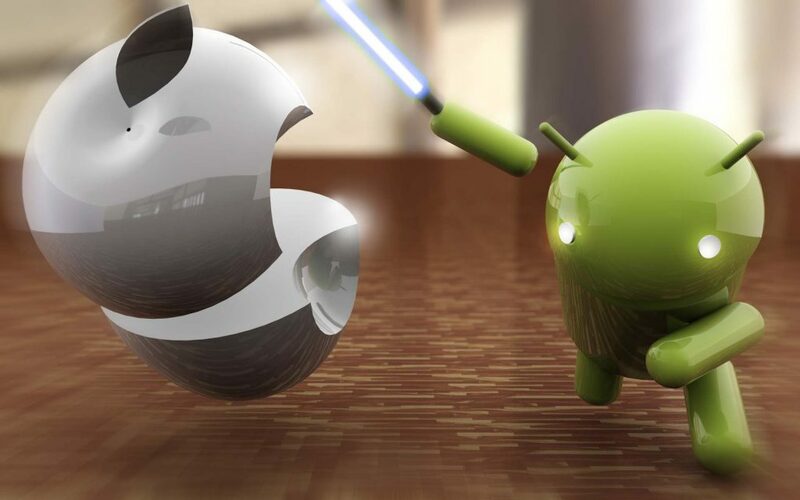 So, while the fandroids are sure to crow that Apple and its iPhone are doom, doom, DOOMED, the simple truth is the rest of us will continue punch well above our market weight for years and years to come.